Fully stocked and ready to go in East Bremerton. Don’t expect the musical chairs of grocery stores at 2900 Wheaton Way to continue, Kyle Saar says. 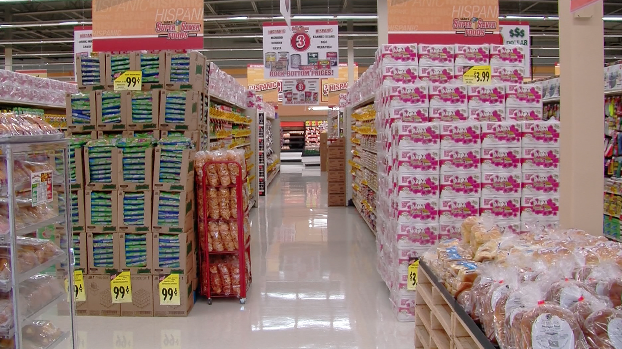 The general manager of Saars Super Saver Foods believes the family-owned chain of stores will be a permanent fixture in the Bremerton community. The East Bremerton location, which Albertson’s began, Haggen floundered at and now, is fully owned by the Saars, is once again buzzing with retail life. On Wednesday, it will open for the first time. On Saturday, it will hold a grand opening celebration. The Bremerton location is the seventh store for the family-owned business. 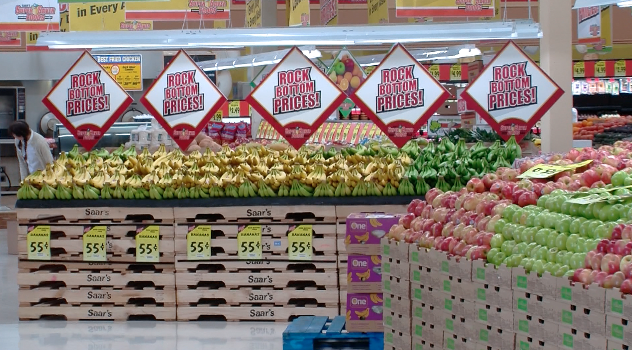 Saars said their formula is simple: keep the prices low and appeal to a diverse cross-section of consumers. There are large sections of the store devoted to Asian and Hispanic foods; but don’t count on an abundant selection of organics. The store’s hours will be from 7 a.m. to 11 p.m. In celebration of their opening, the first 200 customers will receive free paper towels at 8 a.m. Wednesday, a tradition that will continue through the first weekend. And they’ll do the same promotion next week, also Wednesday to Sunday. “We’re looking forward to being a a part of this community,” Saar said. To see more of the inside of the store, check out this week’s Bremerton Beat Blast.